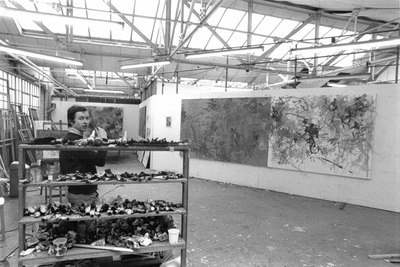 Born in 1948, James studied at St Martins (1966-70) and the Royal College of Art (1970-1972). 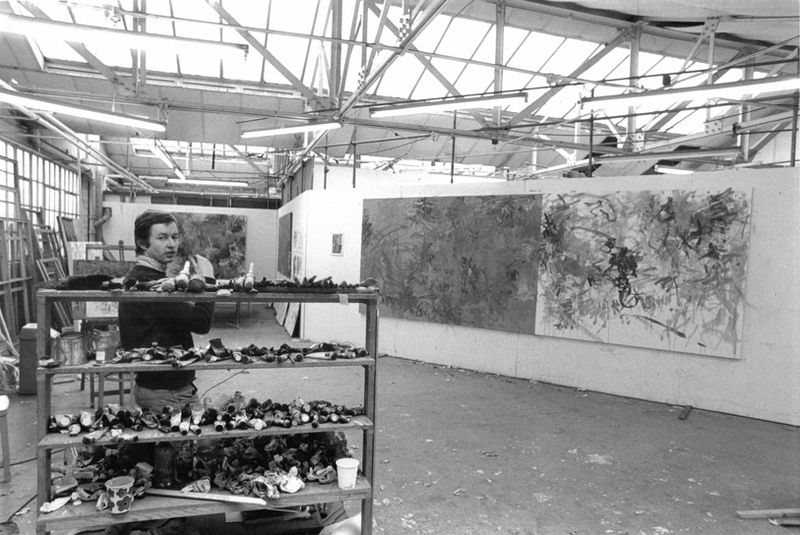 Before integrating digital methods into his work he had already exhibited widely (the Hayward Annual 1979, a solo exhibition at Manchester’s Whitworth in 1985). 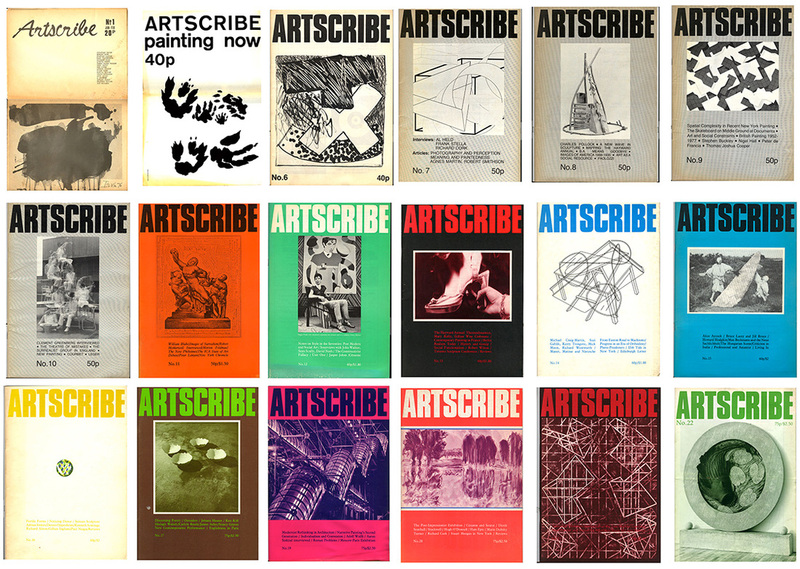 He had been one of the founders of Artscribe magazine in 1976, which he edited for eight years. He exhibited eight times at SIGGRAPH in the USA, won the ‘Golden Plotter’ prize at Computerkunst, Gladbeck, Germany in 1998, showed at the DAM Gallery, Berlin, and featured in ‘Digital Pioneers’ at the Victoria and Albert Museum in 2009. 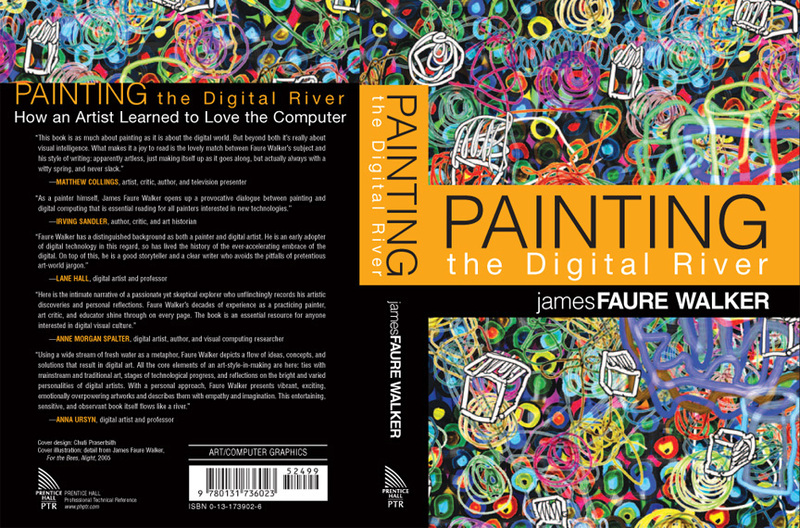 His book, ‘Painting the Digital River: How an Artist Learned to Love the Computer’, was published by Prentice Hall (USA) in 2006, and awarded a New England Book Show Award. He was one of the five English artists commissioned to produce a print for the 2010 South African World Cup. 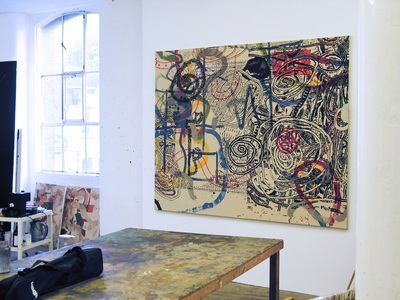 Till 2014 he was Reader in Painting and the Computer at Chelsea, University of the Arts. 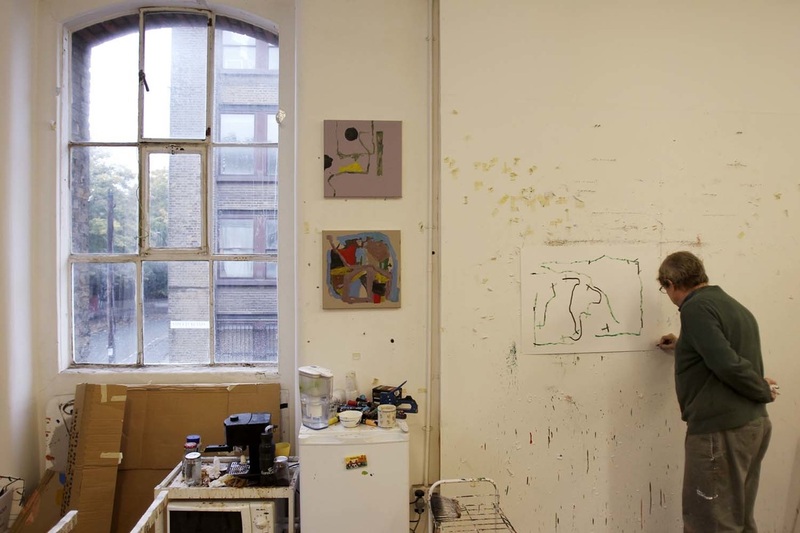 In 2013 he won the Royal Watercolour Society Award. 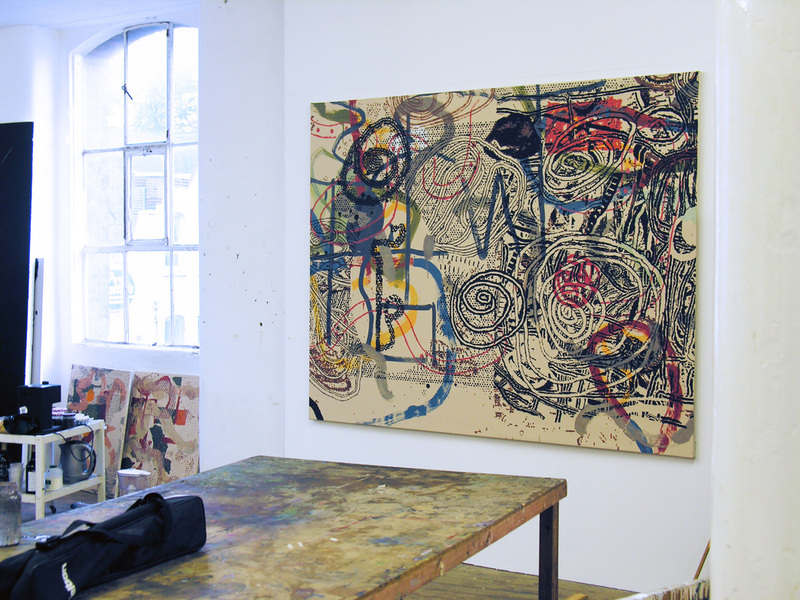 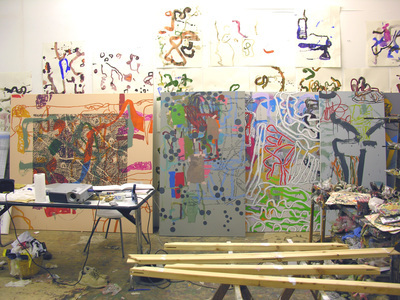 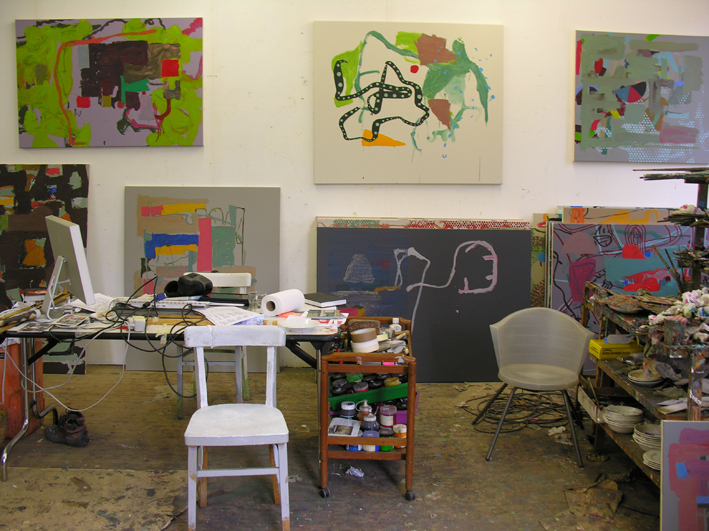 Critics have commented on the lyricism and exuberant colour of James Faure Walker’s paintings, surprising given that since the eighties computer graphics has been central to his work, alongside oil paint and watercolour. 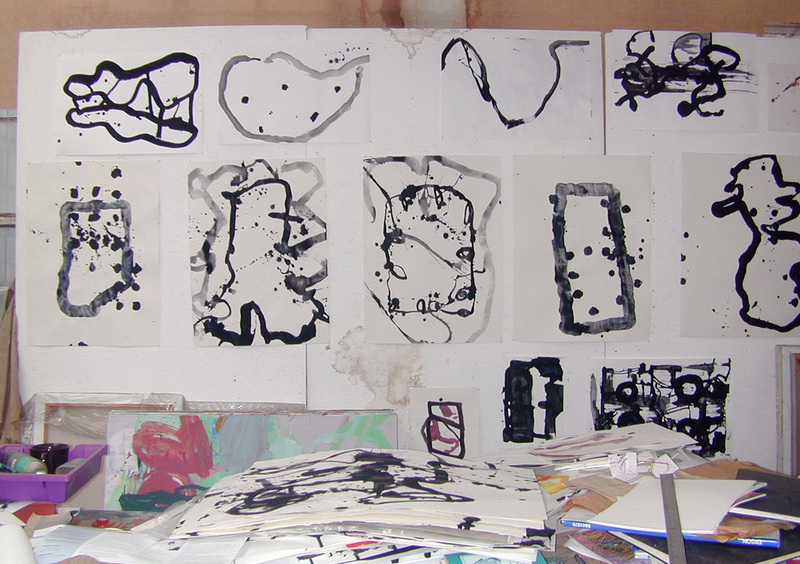 They have also mentioned his independent stand, using photos of pedestrians, birds, shops, at the same time as having developed an ‘abstract’ language. 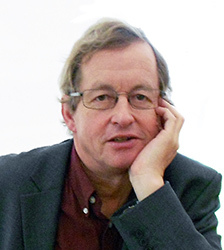 As Stuart Morgan wrote in 1985, “His doubt may lead to one of those careers which bridges older and newer practice, and which opens more doors than it closes”.